I could not get more than one external screen on a Surface Pro 4 to work. 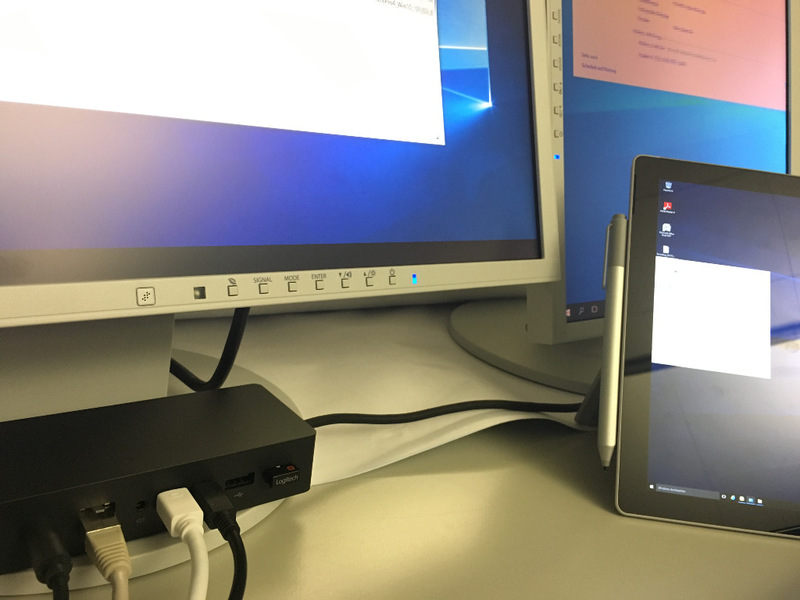 The docking-brick has two mini-display ports, there is one display port on the side of the tablet. But regardless of the combination, more than one screen wouldn't work. That was with the usual "right click on desktop" mehtod to get access to the screen properties. The only option there was to duplicate the screen to one of the external monitors. All screens show up ok in the device manager. 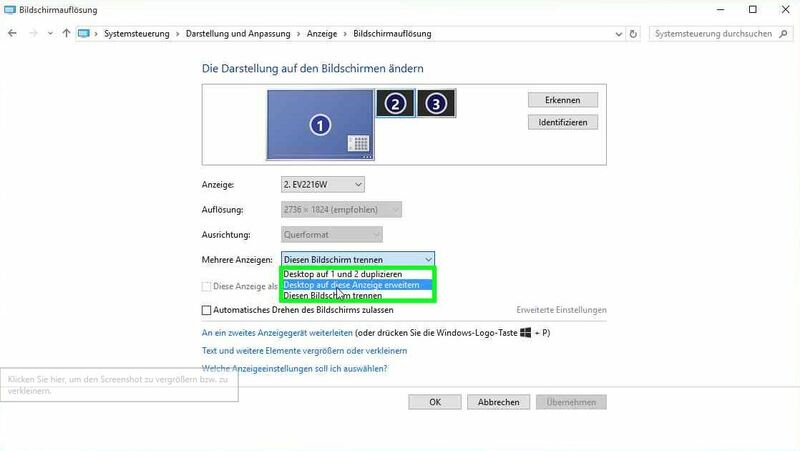 But in the win10 screen settings ony the main screen appeared, along with an option to duplicate the output to screen 2 or 3. Rather pointless in this scenario. 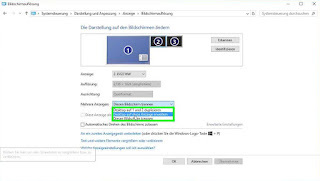 Go to the traditional control panel and find the settings for screen resolution there. The two external screens shown in black. The external screens are show as "disconnected"
They look normal when the Desktop has been extended to use these screens. This has to be done for both external screens. These settings do survive a reboot, but may be destroyed when using the Win10-style screen settings window. EDIT: 2015/12/17 This issue appears to be resolved in the build 1511. EDIT: 2016/01/08 With three active screens, windows does not seem to store the screen settings. The two external screens are recognized, but not used. As a workaround, we disable the Surface 4's own screen. That seems to result inm a stable configuration. When undocked, the internal screen can be used as usual without intervention.